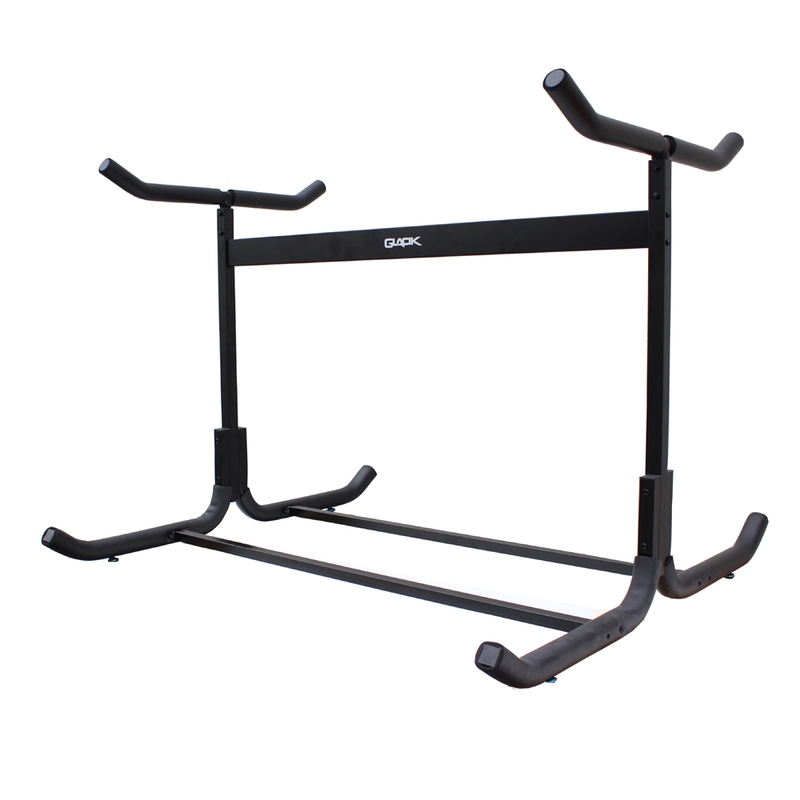 * Light weight and easy to move around with rust resistant coatings inside and out. 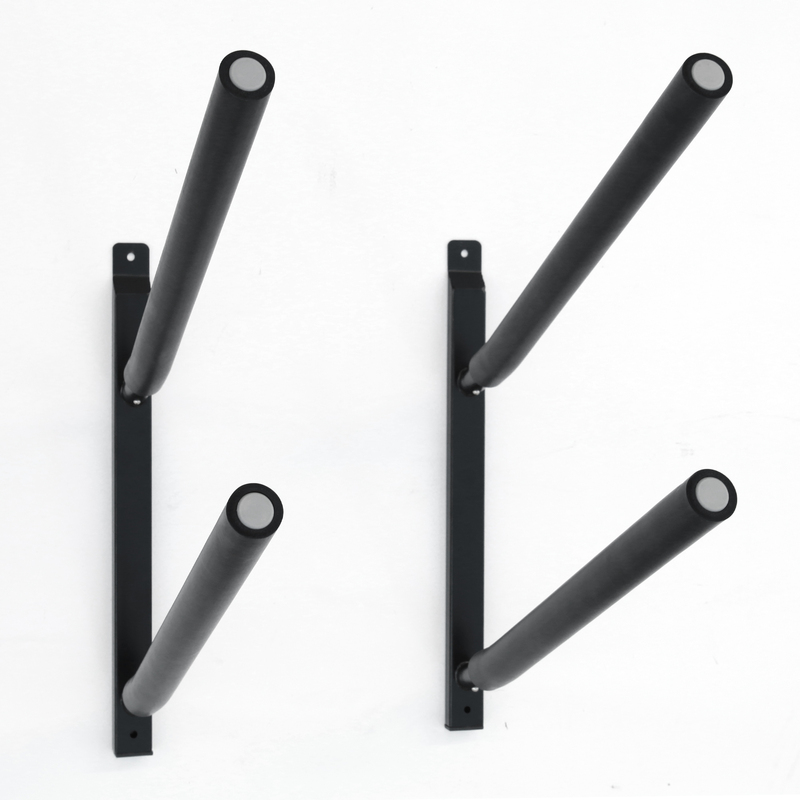 * Constructed of durable steel with Powder Coat Finish. * Recommended for indoor use. * Maybe used for outdoor under certain weather and climate conditions with proper care and protections. * Caster Wheels (sold separately) can be added to this system. 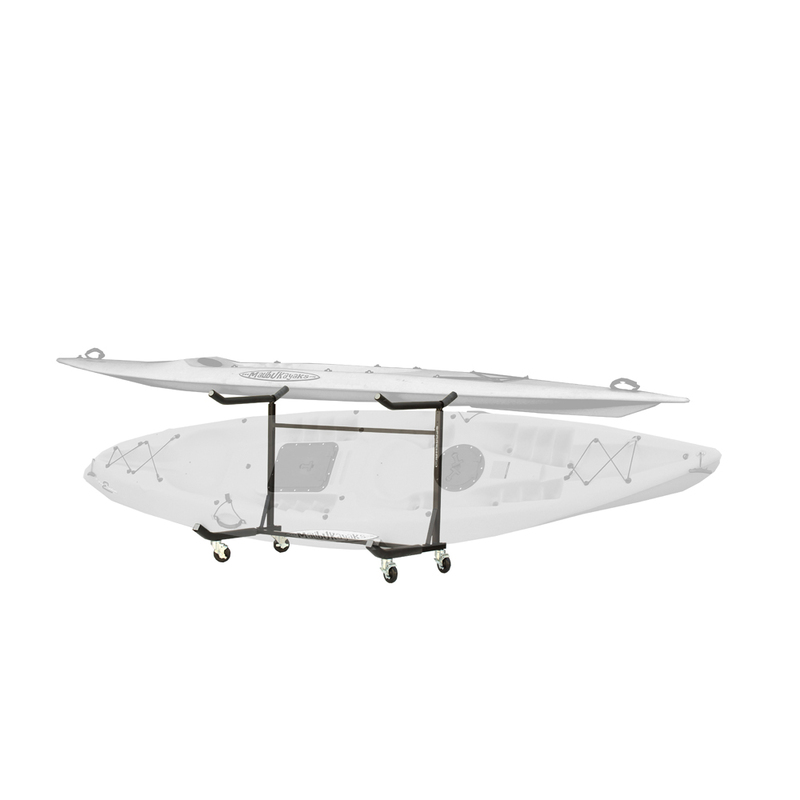 The Sparehand KC-103 “Catalina” Freestanding Double Kayak or Canoe Storage Rack has a 175-pound maximum weight capacity and is a convenient storage solution for any style of kayak or SUP. 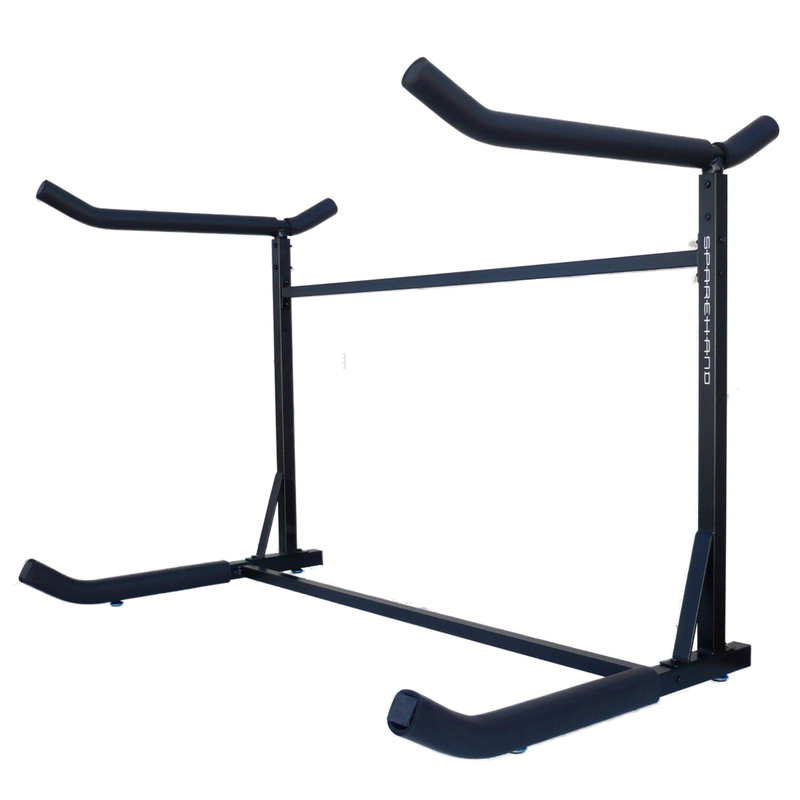 Constructed of durable steel with a black finish, this unit stores a maximum of (2) kayaks or SUPs off the ground and out of the way. The KC-103 can be used in all weather conditions for indoor and outdoor use and features a rust resistant coating. 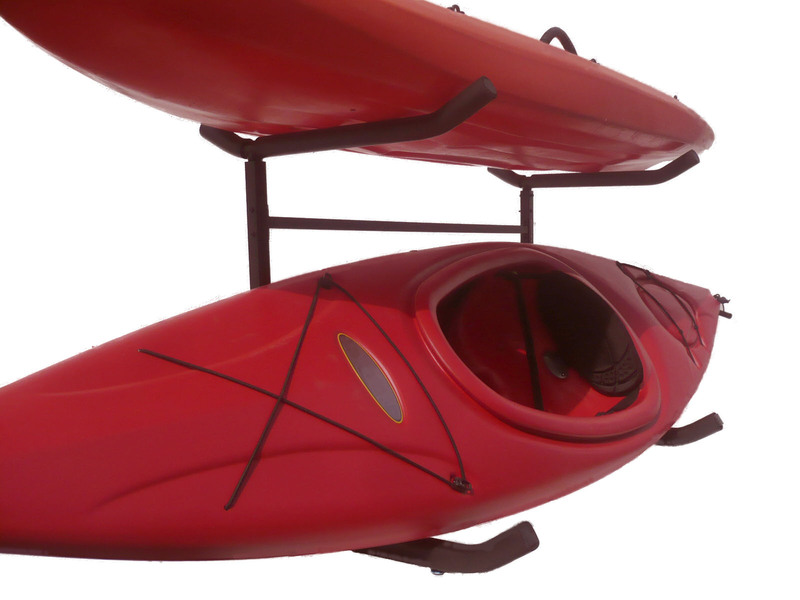 This storage rack has an exclusive flat top cradle that lets you store a larger kayak or canoe on the top level. The rack’s sturdy 48-inch by 46-inch base prevents the rack from tipping over and keeps even the heaviest kayak stored securely. This heavy-duty rack fit kayaks and canoes with a length up to 20-feet and a hull size up to 36-inches wide and 18-inches deep. Sparehand’s unique and accessible design saves space, while making it easy for you to grab and store kayaks and SUPs. This unit is quick to assemble with no drilling into walls or ceilings. 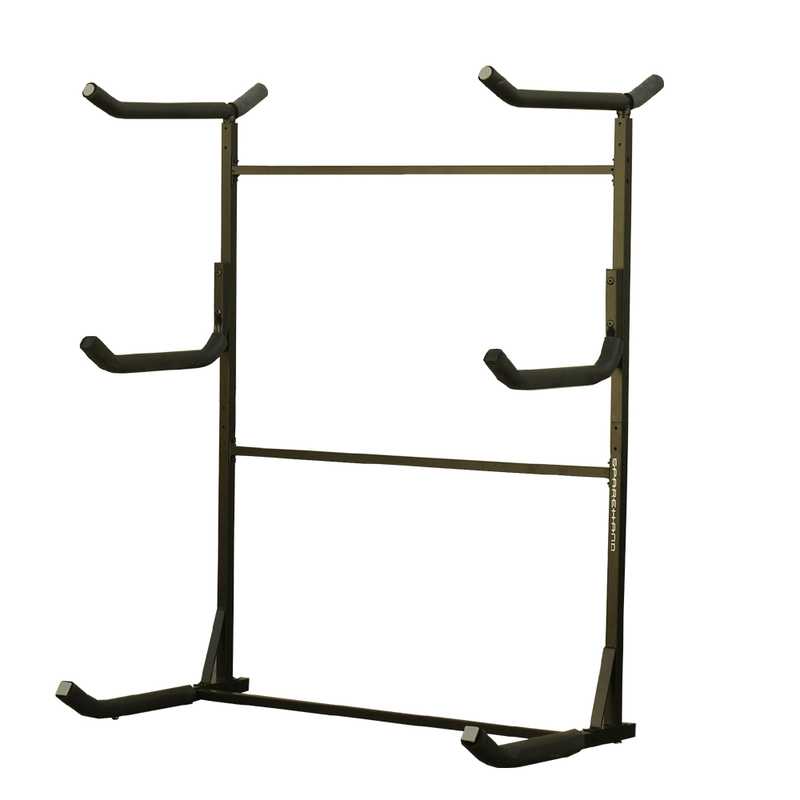 The Sparehand KC-103 “Catalina” Freestanding Catalina Double Kayak or Canoe Storage Rack comes with a 1-year limited manufacturer’s warranty to protect against defects in material and workmanship. Sparehand Systems is dedicated to innovation and simplicity and specializes in high-quality lifestyle and sports products. Their expansive product offering includes bike racks, kayak carriers, grilling accessories and much more. You may use Caster Wheels Model # G-C4 (sold separately) on this model.